Not being a die-hard business customers but fall for a business-oriented handset all the same is something rather uncommon, but that´s exactly what happened when we tested the Nokia E71 last year. We fell for the cell phone on the spot, despite the few annoying issues that seemed to plague the handset. What we´ve got in our hands now is the heir apparent, the Nokia E72 and what we´ve seen so far tells us it´s far superior to its predecessor in every single respect. 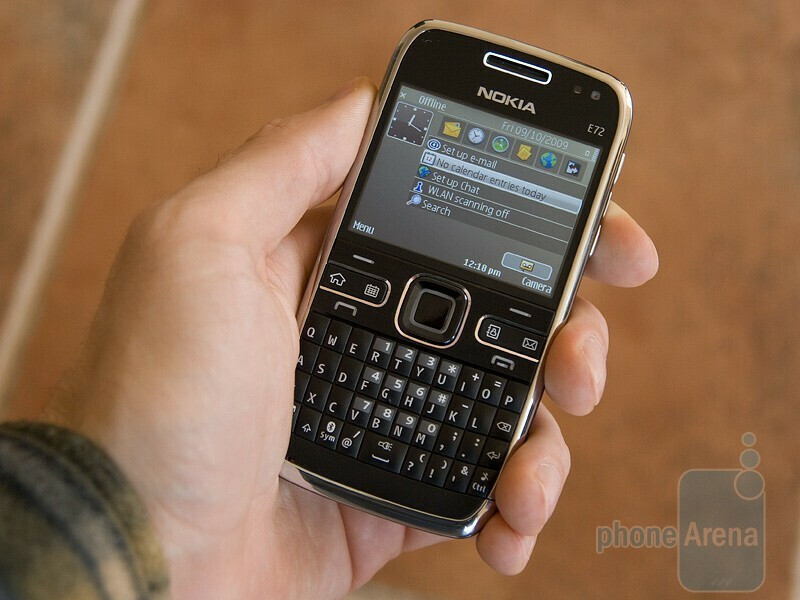 The phone retains both the high build quality and compact size of the Nokia E71, but adds extra features like 5-megapixel camera (instead of 3.2), flash, 3.5mm jack and optical pad. The function keys have flattened and feel quite easier to press. The several minutes we´ve spent with the handset show us the keyboard has been vastly improved and its buttons now have proper, pronounced travel. The phone comes with pre-installed copy of Nokia Messaging to help you set up multiple email accounts in seconds. At first glance, the Nokia E72 looks like quite a promising business smartphone, so stay tuned for our upcoming review of the Nokia E72! Should be a great phone! 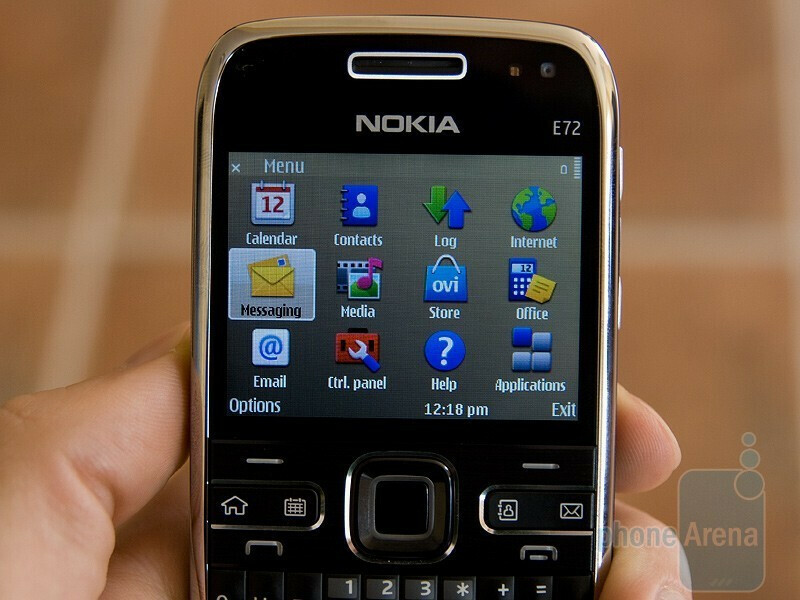 The E71 was great. Keyboard vastly improved? That's your opinion. I for one found the E71 keyboard to be practically perfect. The keys had just the right amount of click to them, and perfect travel. Blackberry keyboards on the other hand are pure crap. Their keyboards feel like my N95. Too clicky, too much travel, horrible button design. So based on your statement, I'm going to assume that the keyboard is now worse. Wonderful. Superior in "every" respect? Hmmm, let's see, same size display and resolution, same processor, and all they did was up the megapixel count on a camera with the same crappy lense and put in a 3.5mm headset jack which should of been there in the first place? I love my E71 but there were lots of little quirks with the E-Series handsets that I felt could be easily fixed but never were dealt with. NAM localization was never implemented very well; the address book needed a MAJOR overhaul and should be linked to the Maps application (so then Maps, can be instantiated from the address book). I really hope Nokia sorted out all of the Bluetooth issues with the release of this handset, so BT headsets will stay connected, once connected). I hope that the E72 also has a better text-to speech synthesizer than prior models. Some messages were unintelligible on playback. I also hope that the infrequent random rebooting issue when Voice-dialing was solved for this release. Lastly, can anyone shed any light on why Nokia has not released a version of Mail For Exchange with Subfolder support? Roadsync works pretty well but I would like to have Text-To Speech support for Email as well. I look forward to an in-depth review that will hopefully explore some of these issues. 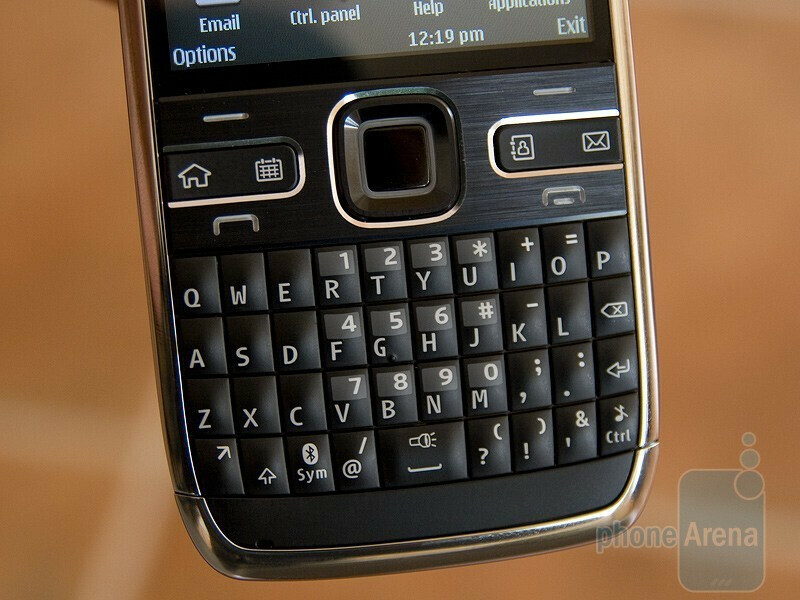 BTW, I think the E71 has an awesome keyboard. It'll be tough to improve on the current design. From PATHMARK POLICE - Superior in "every" respect? Hmmm, let's see, same size display and resolution, same processor, and all they did was up the megapixel count on a camera with the same crappy lense and put in a 3.5mm headset jack which should of been there in the first place? 1. the processor speed is almost double at 600 vs E71's 326 The picture quality is a huge improvement...HUGE. there are a TON of other improvements if you wnat to take the time go check out ELDARS review.......or an even better (very lengthy one with camera comparison pics) can be found at "allaboutnokia"
E72 Bad Things:- - It does not auto recognise capital alphabet like E71 - When u type fast it skips some alphabet - When u insert a Image in a word sheet it doesnt recognise - Whenever u restart ur phone most of the times u lose your email setting. - Web browsing is slower than E71 - You cannot underline or use bold or italic through shortcuts in word like Ctrl U, B, I like E71 - This phones hangs now and then like a windows based. 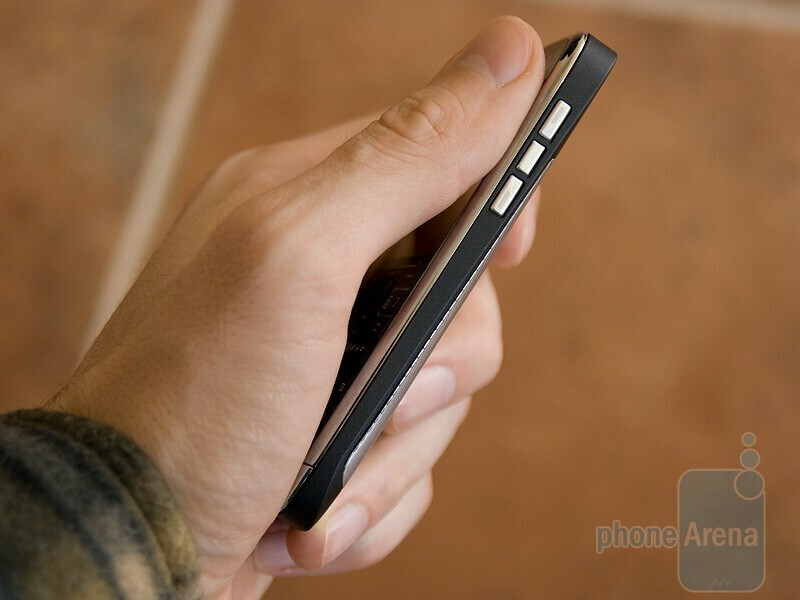 - Contacts shortkey does allow u to add new contact after long hold. - Basic Barcode reader is missing. - Web Feeds in missing in he bookmark list, u need to go to setting and find it. - Mailbox clock switches the date at 12 noon. So u get the mail dated to next date. - Memory card in setting is missing which was usefull in E71, like format etc. 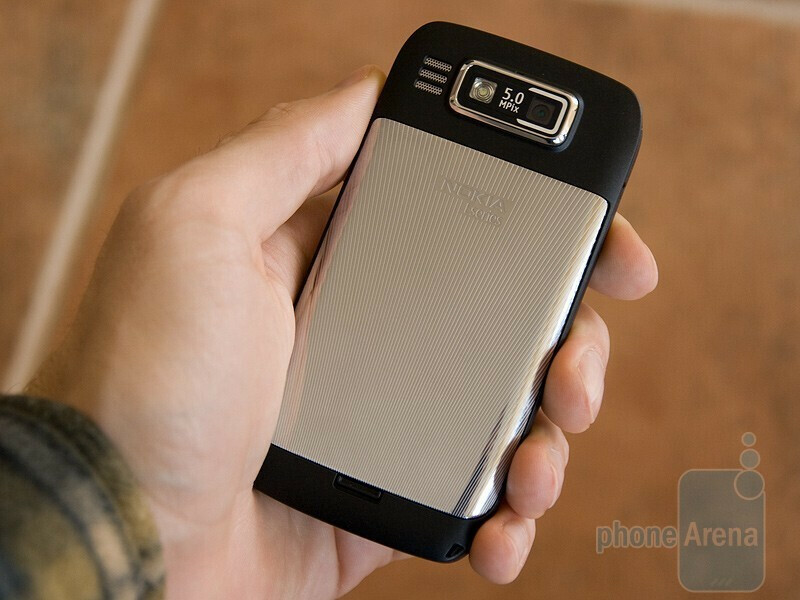 - Nokia has saved it time by not making new O.S. Has used N-Series user interface which does match with the E-Series User Interface. - Optical Key not at all usefull - The System is so slow that even setting come very slow, and if u try to select things fast then it leaves you back to the home screen including surfing mails. -Battery Backup is only about 1 and half days, and more worse is that u cannot trust this phone as day 1 it shows full battery, and second day you wont even come to know when it comes from full to drain. - Even if Wi-Fi server is not found it still says Hidden Wi-Fi found. - In Opera 10 Browser u cannot use 'U' it only uses * - Even space bar key hangs now and then and to use it we need to restart the phone. People please tell Nokia to find a way out of all this..